Warren Buffett, dubbed the “Oracle of Omaha”, succinctly stated a sage piece of investment advice: “Price is what you pay. Value is what you get.” Odd how often this message is distorted when delivered to the “retail investor” – that’s you and I. The deceptive message almost always delivered, whether directly or in a more surreptitious manner, is that “cheap is good”. It preys on our senses. Truthfully, sometimes “cheap” is, well, just “cheap”. 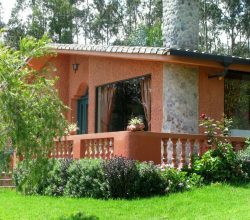 We are going to look at a hidden market for Ecuador real estate investing, which represents surprisingly great value, for the astute investor. Everyone is rushing to Ecuador because they hear about the great values. It wouldn’t surprise me to find that the dated “$50,000 beach house” myth is still being perpetuated by someone, somewhere. Not even double that price gets you a genuine, move-in ready beach house, but the myths prevail. The hype surrounding the “Ecuadorian value” story really needs to be distilled to its very essence – folks aren’t here looking for value, they are looking for “cheap”. Unfortunately, many are ending up with just that. For example, 10 years ago…7 years ago…maybe even 4-5 years ago, buying an oceanfront condo, in a 25+ year old building, while paying $75,000 – $130,000, was a “good value proposition”. You could renovate the property and pull out significant “sweat equity” capitol from the deal upon resale. However, the story most investors never get told straight, because it is a little “scary”, is that “good deals” are not static, rather the market is constantly shifting. Economic factors, inventory factors and buying patterns all change over time. In Ecuador, there is a sea swell of change occurring right now, dramatically impacting investment patterns and what represents “good value”, over the next 5-10 year investment horizon. While not the central topic of this piece, I will devote a few more words, by way of contrast, on the aforementioned “25+ year old condos for rehab “ topic, because I think some investors and homebuyers are going to get financially hurt…sooner, rather than later. Ten years ago, even 5 years ago, there was nearly no new construction being built on the Ecuadorean cost. Yes, you heard that correctly. Despite all the hype, nothing was happening at ground zero. Today, whole different story. Literally dozens of projects are being actively built, with even dozens more sitting at local municipality Planning Department offices. Will they all get built, especially the ones still in a “planning stage”? No, of course not. That is why one needs to be careful and fully vet any off-plan real estate projects. However, enough of them will be built to impact the market. A great many of these new construction projects are targeting the $150,000 and under buyer market. That’s a whole lot of brand new inventory headed to market, targeted at that buyer class. For example, in Salinas, a developer named Ivan Cobos puts up what seems like a brand new tower per year, with quality common areas and amenities, as well as modern finishes, for under $125,000. The units are on the smaller side, but they pack a great deal of wallop for in that small package. So, if you are still buying a run down, 30 year old condo, in an oceanfront building with limited amenities and worse upkeep…what is your true upside? Even if you buy in at $80,000 and put in only $20,000 worth of renovations, you are still out of pocket $100,000. Even if you try to sell it for just $125,000, let alone $150,000, you bump into the Cobos’ buildings and similar, sparkling brand new, under $150,000 condos, all across the coast. What do you think your resale demand looks like? Even if your unit, post renovation, is bigger and better, you still have to schlep potential buyers up a rickety, coffin-sized elevator, passed the peeling paint and odor of mildew, all so you can show them a unit in a building lacking any quality amenities. Marketable? With enough patience and time, anything is marketable. There truly is a buyer for every investment. However, good value? I think not. Cheap…yes, but good value in today’s market reality? Definitely, no. Then where is the current value opportunity in the Ecuadorean real estate market? Think luxury. In fact, think über luxury. Yes, you heard correctly. The value is in the luxury end of the market. What? How? Has he lost his mind? Well, I misplace a lot of things, but hopefully not my mind. Remember, we are talking “value”, not “cheap”. The luxury end of the Ecuadorean real estate market, which we are defining as $250,000 and above, is completely flying below the investor radar screen. Well, for most investors, but not our investors. 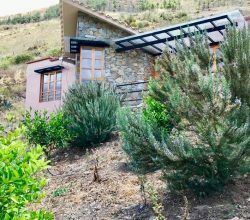 Ecuador has gorgeous, oceanfront luxury, residential home estates and dramatic penthouse and luxury condos, with panoramic vistas of the Pacific Ocean. All are selling for a fraction of what they would cost, just south of the border, in Peru or north of the border, in Colombia, for similar product. Note that we don’t make the ridiculous comparisons to the USA market or even Mexico. Still, right here in South America, the neighbouring countries around Ecuador trade at a significant premium to similar luxury real estate in Ecuador. Ironically, I can definitely present a better growth and value story for Ecuador, over Peru, and while Colombia offers exceptional growth perspective, the value side of the story still favors Ecuador. Why is this occurring in a country as beautiful as Ecuador, with all of the makings for a premium resort community destination? Simple – that is just not where the buzz has been. The buzz has been surrounding the cheap properties, not the exceptional value properties. There are large tracts of oceanfront land, with 4,000 sf, 5,000 sf and 6,000 sf homes, selling at between $80 sf/$125 sf across Ecuador. That is for move-in ready, luxury estates. Compare those prices to your home country or Peru and Colombia. An interesting opportunity to say the least, if you want to acquire genuine value today and hang on for stupendous growth over the next 5-10 yeas, conservatively. The sharp rise in luxury prices could occur in as little as 3 years, given the aggressive tourism campaign undertaken by the current Presidential Administration of Rafael Correa. 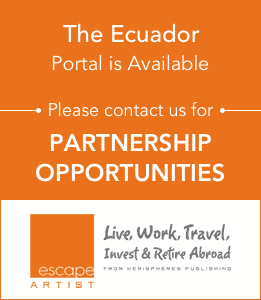 Ecuador is definitely arriving on the radar screen of international home buyers and investors. Let’s take a look at some realistic and conservative comparative numbers for oceanfront real estate, so you can best understand why I am so excited at the luxury market opportunity, here in Ecuador. Basic calculation, without the frills and some added costs, as well as possible rental benefits. However, a very reasonable thumbnail sketch. Not bad, depending on over how many years. Certainly respectable by the standards of many other investment vehicles in today’s volatile investment market. Again, not bad at all. Added costs, but added return, plus the opportunity for better investment rental yield, since this property category tends to attract a healthier and more upscale rental market. Interesting, no? Sure, your acquisition costs sky-rocket. No doubt, not for everyone. Not everyone has half-a-million dollars just laying about and I certainly understand. Still, we strive to be all things, to all readers, so broad cross-section of investment and lifestyle opportunities need to be presented. The investment yields a thumbnail, conservative return of 200%! No, I have forgotten the time value of money. I am getting to that. When do I see this appreciation occurring? Definitely in the next 5-10 years, perhaps as early as 3 years. That’s realistic. So, the question you have to ask yourself is – and let’s use the more conservative time frame – can you buy and flip enough “Cheap” category or “Moderate” category properties, over a 5-10 year period, in order to beat the simple, relaxed, sit back and hold strategy of the luxury market. My analysis suggests not a chance for the “Cheap” category. The throughput speed of sales is too slow, in order to get the required ROI. You either sacrifice speed of sales or you sacrifice ROI which leads to a deterioration of your 5-10 year ROI. 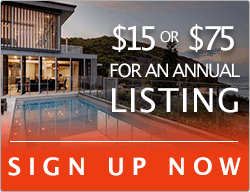 You have an outside chance – and that is just how I view it – in replicating something close to the Luxury end market ROI, with the “Moderate” category of real estate, but it is going to be very tricky and you absolutely need a very aggressive real estate professional working for you. With the “Moderate” category, the problem isn’t throughput speed of sales, because if you select the right property and perform a quality renovation, there is a ready market available for your product. The catch with the “Moderate” market rehab strategy is that too many of my industry colleagues over sell the potential of certain assets in this price range. Not all $160,000 – $175,000 condos are the same. You have to buy the right building, the right location, with the right amenities, in order to make the “Moderate” strategy work. Also, the units have to enjoy “good bones” – right layout and quality of original construction. Otherwise, this strategy flies like a lead balloon, as astute market buyers spurn your offering. The problem with the “Moderate” real estate strategy, beyond what is already mentioned, is that so few properties of sufficient quality are available on the market at any one time. The inventory for “Moderate” real estate rehab, of true substance and quality, is very low at anyone time. If anyone tells you differently, pull out the “red flag”. So even if you argue, as I do, that this strategy has a “chance” at matching the “Luxury” market strategy ROI, odds are you will be chasing fewer opportunities, with a bevy of competitors driving up the costs, if the seller is represented by a quality real estate professional. You have to hire a real estate professional that i fluently bilingual and willing to “beat the bushes” for new inventory. 5) Fastest appreciating market segment, projecting forward 5-10 years. I recognize this real estate product isn’t for everyone. Let’s be more brutally candid, as is my bent. This type of real estate product isn’t for most. 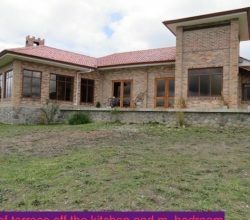 However, if you have the financial wherewithal, the luxury end of the real estate market in Ecuador is having a fire sale. Not compared to silly examples for comparison, like Southern California or Shanghai, but relative to realistic neighboring countries, like Peru and Colombia. The time to buy is now – and that is not something I state lightly or often. With an eye to this burgeoning marketplace opportunity in luxury real estate across Ecuador, Zen Global, my flagship real estate company, has added the EcuaLux brand of real estate product and services. It is intended to source and bring to market only luxury end real estate assets. The current plan is for additional product opportunities of note, which will expand access to the luxury real estate marketplace to more buyers, to reach our client base by end of 2014 of 1st Quarter 2015. 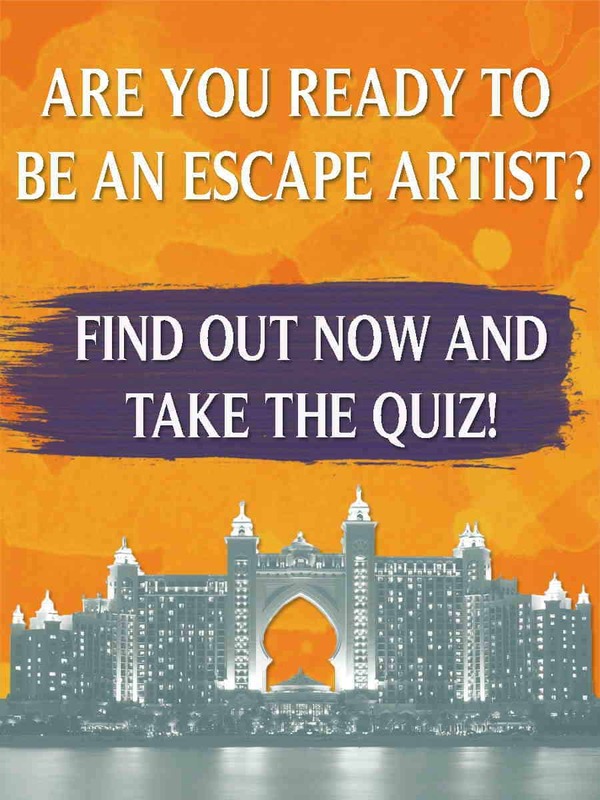 Keep an eye out for new developments, right here on the pages of EscapeArtist Ecuador.